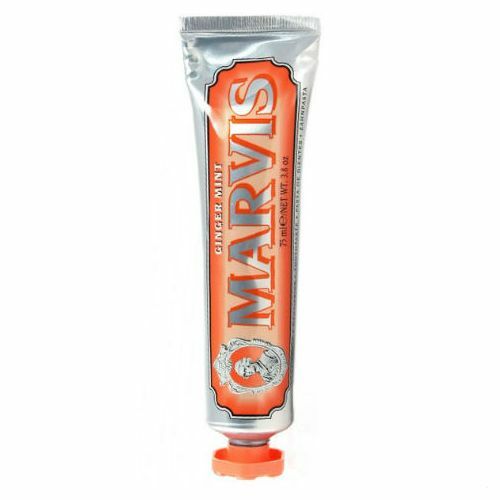 Using years of experience in the dental industry, the Marvis Aquatic Mint Toothpaste (85ml) leaves behind a refreshing and clean feeling. 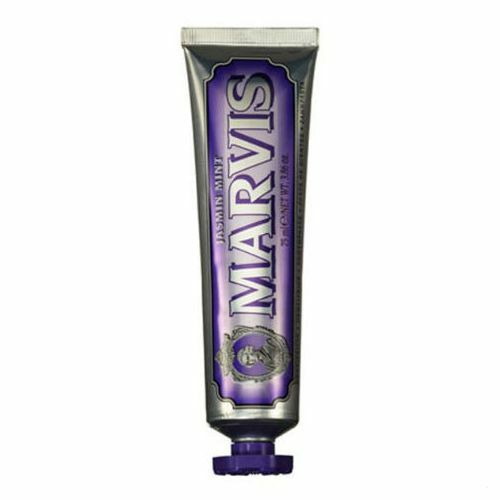 Designed to work effectively as an alternative to your existing toothpaste, this expert formula breaks down tartar and plaque while helping to prevent tooth decay. Use within your existing routine, this cult-style product tingles the gums for a refreshing sensation and brings you one step closer to that dazzling and white smile you've been seeking. 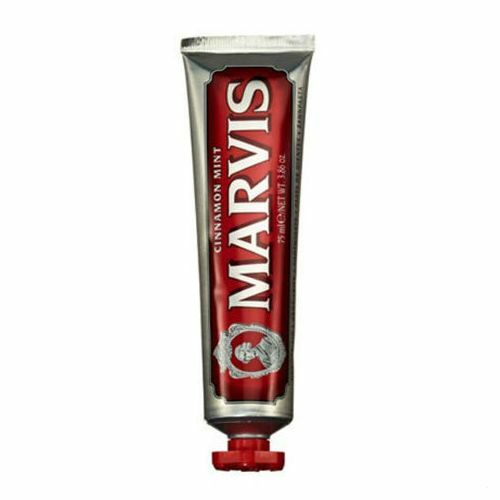 Formulated with years of dental care expertise, it is suitable for use twice a day and in conjunction with mouthwash for the best results after repeated use. Glycerin, Aluminum Hydroxide, Water, Silica, Aroma (Flavour), Cellulose Gum, Titanium Dioxide, Xylitol, Sodium Lauryl Sulfate, Sodium Saccharin, Sodium Fluoride, Citric Acid, Sodium Citrate, Hydroxycitronellal, Farnesol. Use a pea-sized amount morning and night with a soft bristled toothbrush.